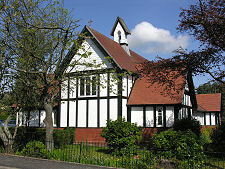 Bearsden is an affluent and leafy suburb of Glasgow, located about six miles north east of the city centre. Despite effectively forming part of the Glasgow conurbation, in local authority terms it forms part of East Dunbartonshire. 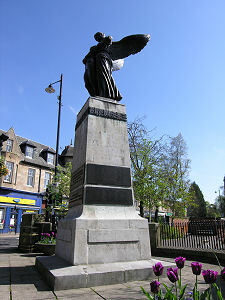 The focus of the town lies at Bearsden Cross, the crossroads formed by the meeting of the A809, Drymen Road, and the A808, Roman Road. 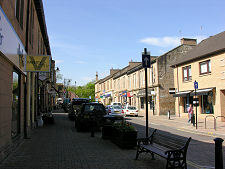 The main shopping area lies to the north east of the Cross and the 500 seat Bearsden Hall lies to its north west. 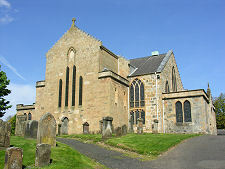 Meanwhile, Bearsden's remarkable collection of imposing churches seem to occupy prime locations wherever you look. 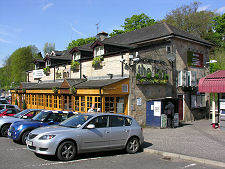 For an urban area, much of Bearsden is surprisingly reclusive. Never was the term "leafy suburbs" more fitting: row after row of tree lined residential streets are home to large houses that often hide away behind tall hedges. It no surprise that official figures say that most of Bearsden's 27,967 residents, who together make up 10,417 households, live in detached houses; and that only 4% of residential properties in Bearsden are council-owned, the smallest figure for any town in Scotland. One survey ranked Bearsden's postcode, G61, as the 7th most wealthy in the United Kingdom, and it has been estimated that 176 millionaires live in the town. 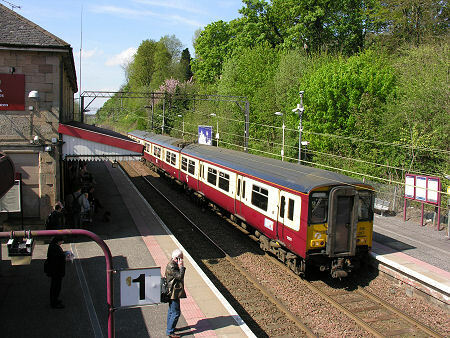 Just a little further afield, Bearsden Railway Station can be found a quarter of a mile south of Bearsden Cross, and the well preserved remains of a Roman bath house built on the line of the Antonine Wall lie a similar distance east, along the aptly named Roman Road. 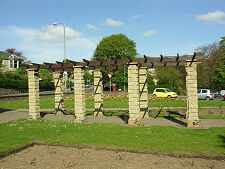 The Roman were the first residents of Bearsden to leave any significant traces of their having been here. 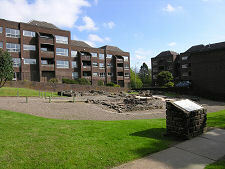 The bath house is all that remains of a fort that extended some distance towards Bearsden Cross, while the name and course of Roman Road remember the road the Romans built along the line of the Antonine Wall. For most of its life, the settlement here was known as New Kilpatrick. Growth started to occur in the early 1800s as owners of factories increasingly crowding into Glasgow began to look for somewhere to live that was convenient for the city, but uphill and, ideally, upwind from it. New Kilpatrick fitted the bill exactly. 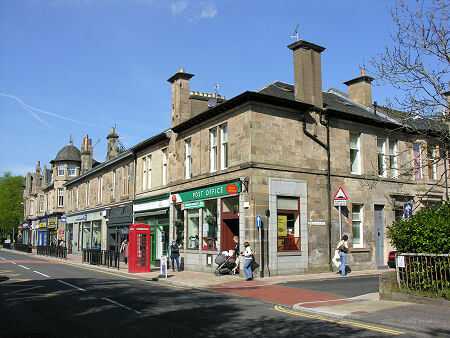 But the real development of Bearsden followed the building in 1863 of a railway station a quarter of a mile to the south on the line that linked Glasgow to Milngavie. 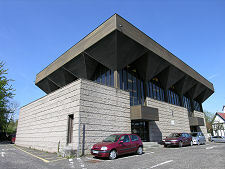 The railway station took its name not from the nearby settlement of New Kilpatrick, but instead from a house that stood close to the site of the station. 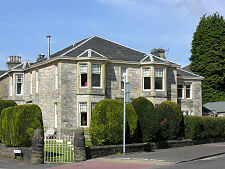 Whether the house had become known as Bearsden because the local laird once kept a pet bear there is debatable. What is more certain is that the arrival of the railway brought much accelerated growth to the place that very quickly took on the name of Bearsden. In 1924 Glasgow's electric trams made it across the mile or so of open countryside that still separated Bearsden from the edge of Glasgow proper. 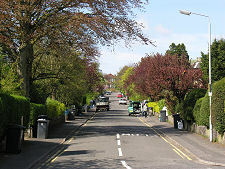 The trams stopped running in 1956, but the railway line was electrified in 1961 and housing development continued apace, to the extent that by 1980 the gap between Bearsden and Glasgow had disappeared, and the only remaining open spaces were associated with the numerous golf courses in the area.